Kari Mäki, DSc (Tech.) appointed Research Professor in Smart Energy Systems at VTT - DERlab: European Distributed Energy Resources Laboratories (DERlab) e.V. Kari Mäki has worked with energy systems at VTT Technical Research Centre since 2010. Before that he held various positions in the industry and the Tampere University of Technology. 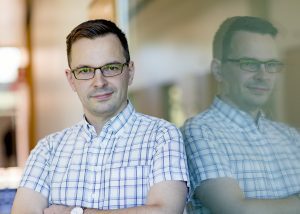 The DERlab team would like to offer our heartfelt congratulations to Kari Mäki on the new appointment as a Research Professor in Smart Energy Systems at DERlab member VTT Technical Research Centre of Finland. Best wishes for continued success in your career.